What a great gift! 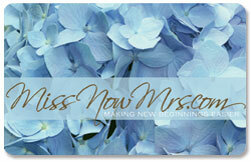 I received a MissNowMrs.com Gift card at my shower and it has made the whole name change process so much easier! It tells you exactly what documents you will need and helps you fill out all of them. Honestly, I don’t think I would have gotten my name changed so quickly if it wasn’t for this service.. — Stephanie P.
The Perfect Wedding or Shower Gift! What could be better than to save a bride you know countless hours of name change hassle so she can enjoy being a newlywed? 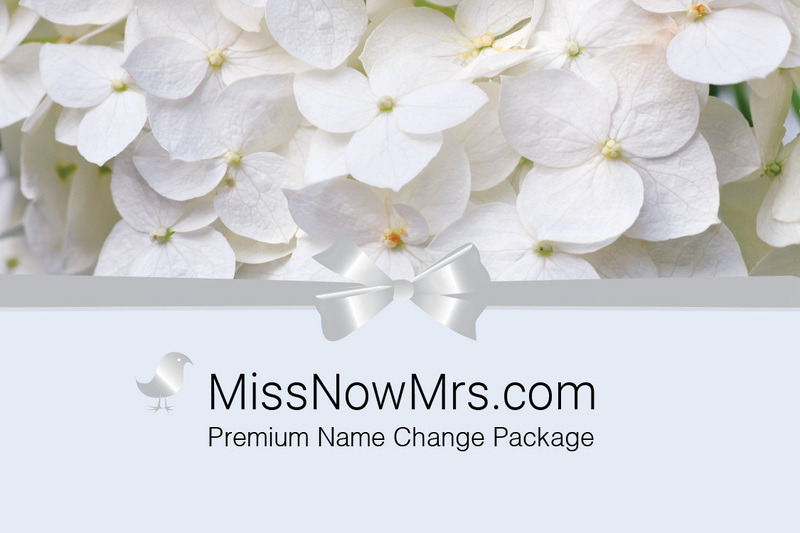 The MissNowMrs.com name change service saves the average bride over 13 hours of research, form completion, and filing mishaps. It’s 3 easy steps: We ask the bride a few questions, use her answers to auto-populate her state and U.S. government name change forms, and then give her specific instructions on how to print and file each form. We even provide help for banks, mortgages, credit cards and more! We'll happily mail the gift card to your address so you can give it in person, or we can also mail the gift card directly to the bride & include a personalized message from you on our stationery. Your gift cards will be sent via first class mail.